Do you ever find the need to have two or more distinct textures or colors on different cabinets in a room design? Here is a method to accomplish it. It involves assigning Textures to the materials you use on the cabinet Exteriors. 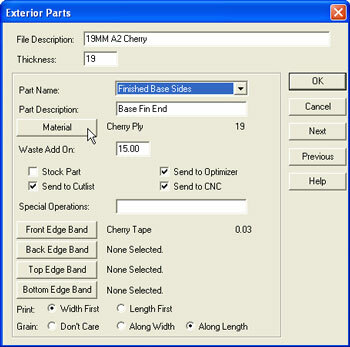 1) Start by editing the Materials. Go to File Setup Materials. 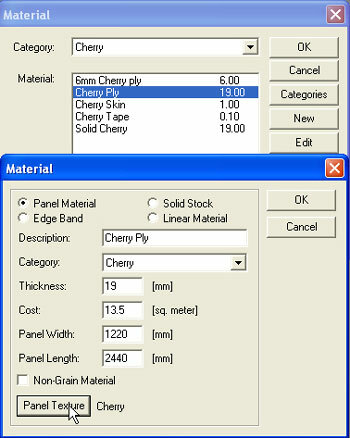 Select the desired material and then Edit. 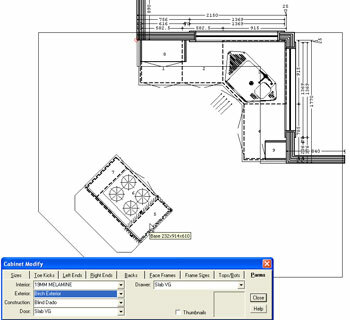 Click on the Panel Texture button. 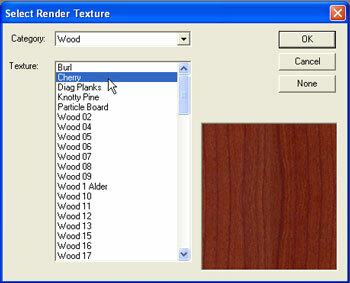 Then select the Texture from a category. Choose OK.
2) Repeat the process for the next material. 3) The next step is to assign the textured material to the cabinet parts in the Exterior parts file if it hasn’t been done already. Do this with File Setup Parameters and select the desired Exterior parts file. 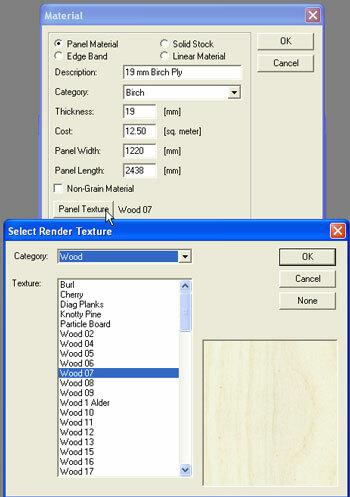 4) Select the various part types and assign the textured material to them. 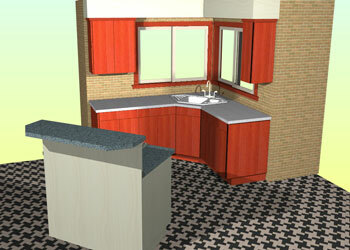 The Toe Kicks, Finished Ends, Drawer, Door and Face Frames would all need to be assigned a texture. Finished Backs and Fillers also may need a texture. The same Texture can be assigned to various materials. (Plywood and Solid stock for instance). Edge Banding doesn’t need a texture at this time. 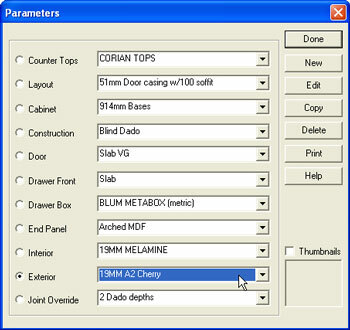 5) Now all you need to do is assign the particular Exterior file to the Room that is for the predominate cabinet type and use Cabinet Modify – Parms to assign the second Exterior parts file to the cabinets that need the second texture. 6) After changing the Exterior parts file on all the cabinets in question, the filled render view will now display the selected textures.